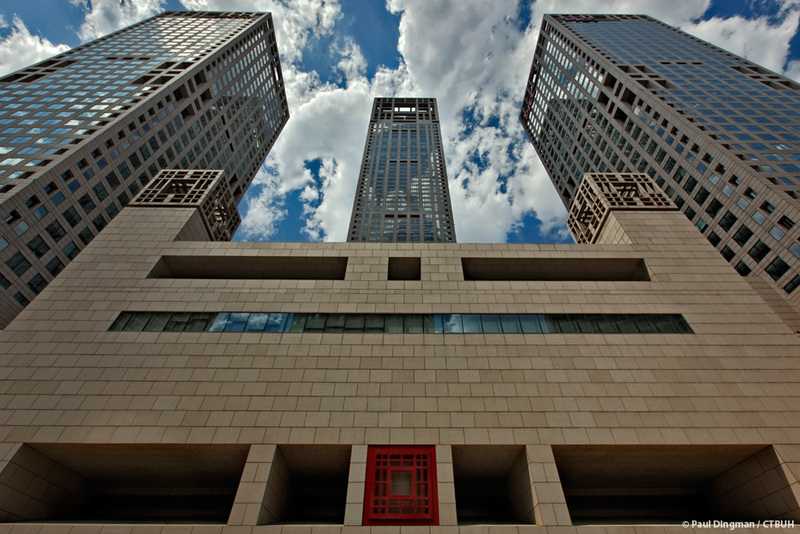 Beijing Yintai Centre, with architectural details that suggest ancient Chinese architecture in a contemporary way, is a comprehensive mixed-use complex located in Beijing’s Central Business District. 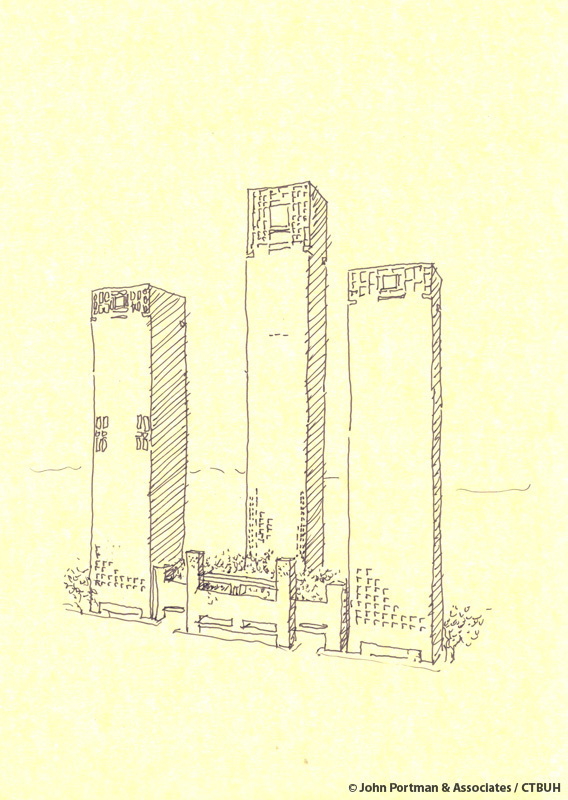 The three towers, square in form, are studies in simple, straightforward design. 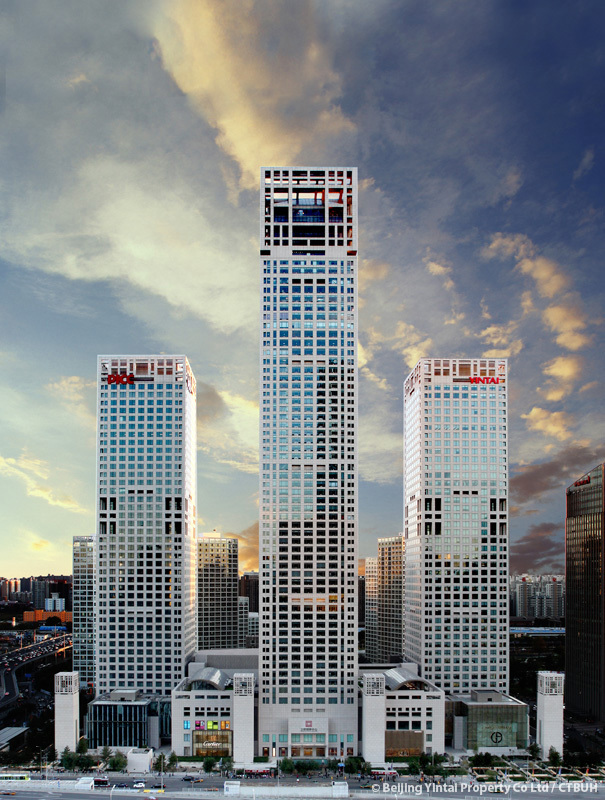 Park Tower, the focal point of the project, is the residential tower. 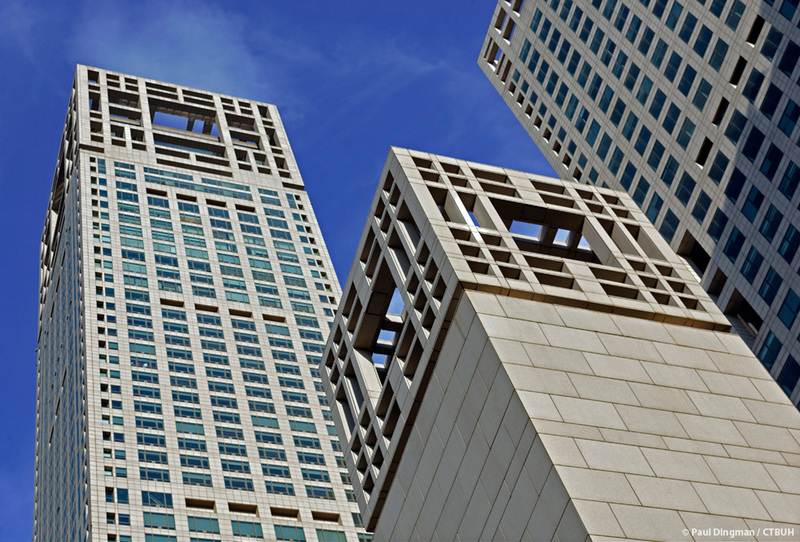 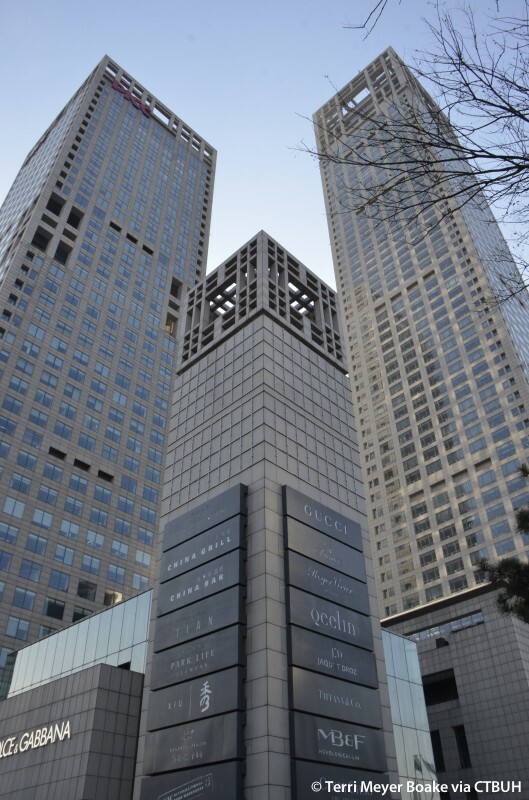 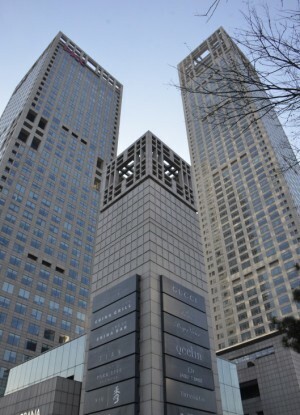 Flanked by twin office towers, it features a five-star Park Hyatt hotel. 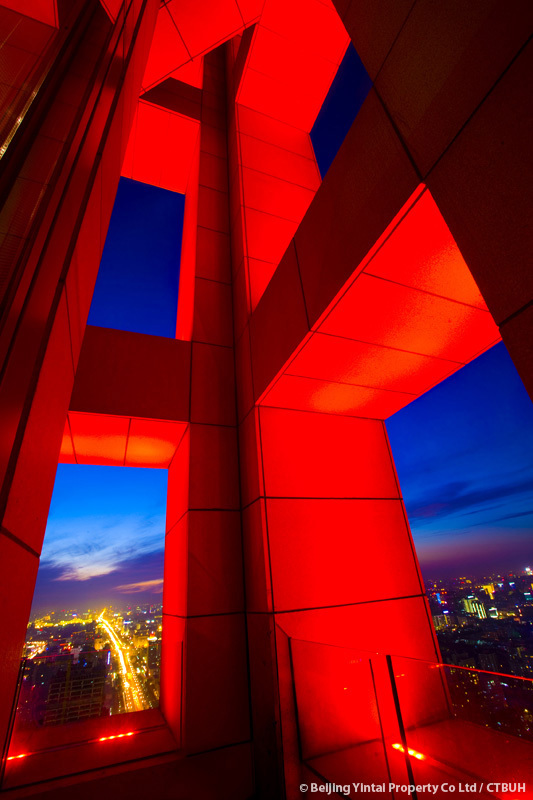 Topping Park Tower is a majestic cube that recalls a Chinese lantern. 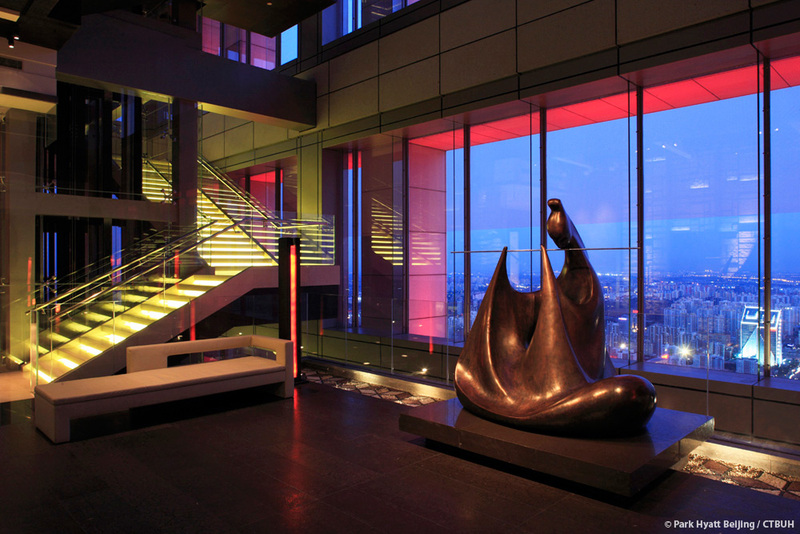 Express elevators sweep guests to the top of the building where the hotel registration area is located within this lantern. 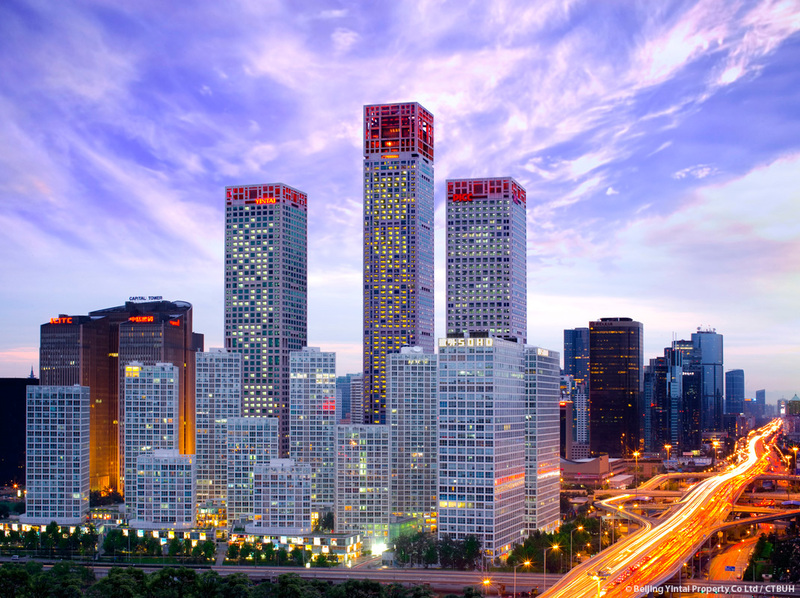 The cube is a stately symbol of Chinese culture by day, and a glowing landmark at night. 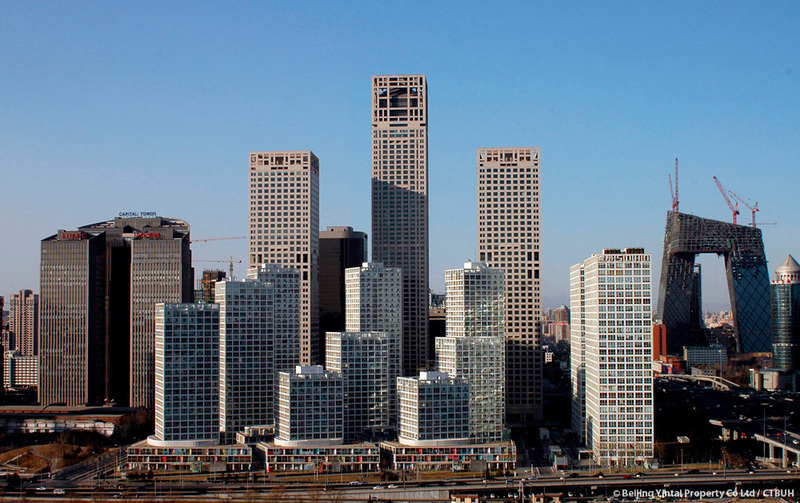 On top of the podium, a landscaped roof garden ties Park Tower together with the rest of Beijing Yintai Centre. 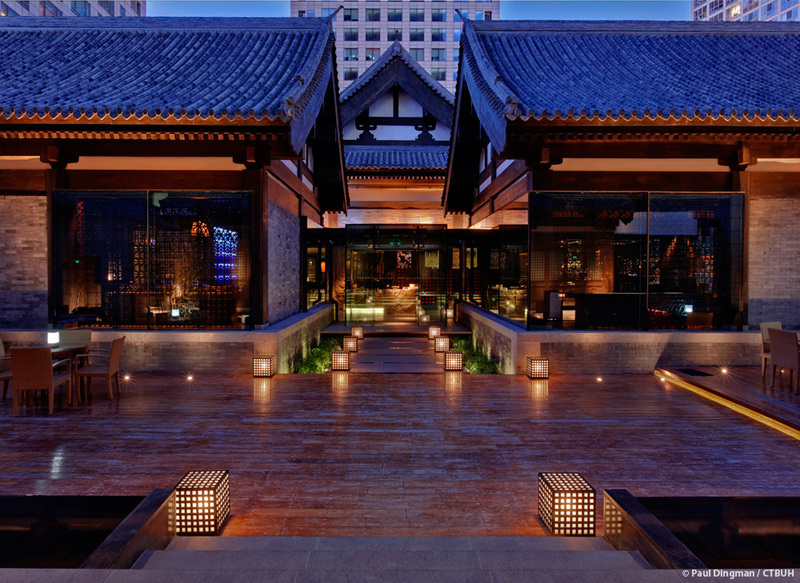 Rather than attempting to copy a traditional Chinese garden, elements of historic Chinese gardens are incorporated in a symbolic way. 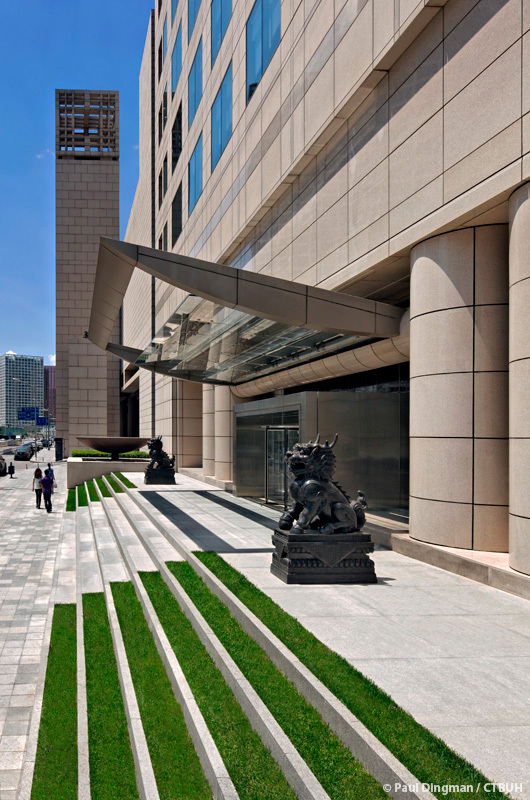 The cool greenery and the sound of water create a welcome antithesis to the urban surroundings while also highlighting the forms of the architecture.